Ripley X Blake are expected puppies on March 19th. 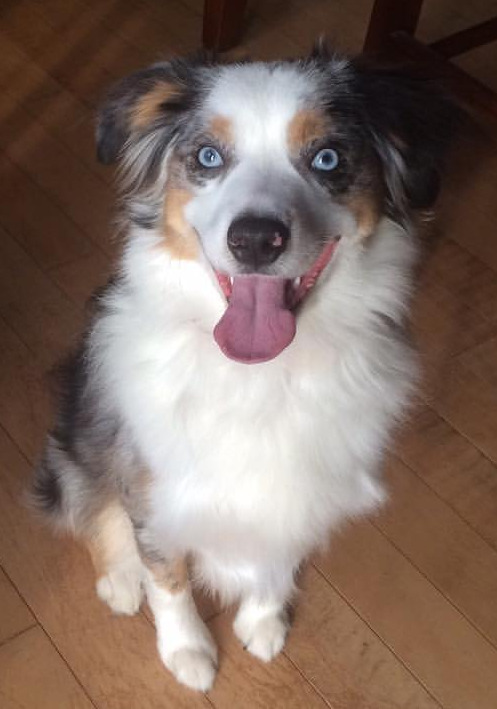 I have owned and loved Australian Shepherds for 25 years. When I discovered there was a miniature version, I knew I had found the perfect companion dog and I just had to share the experience! This is what motivated me to start producing quality puppies with emphasis on health, temperament and conformation. 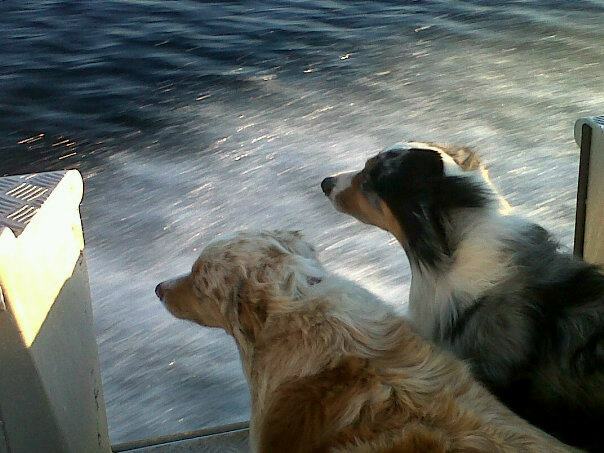 My dogs are ASDR and NSDR registered pure bred Miniature Australian Shepherds. I currently have two dogs that live with me in my home, not in a kennel. As I grow my breeding program I will be looking for co-own homes for my puppies, so they too, can have a family of their own to spoil them. Those who are not kept in the program are available as pets. Providing my dogs with the best life possible is my primary objective. Please bear this in mind, if you are interested in a puppy. I will ask lots of questions to make sure my puppy is safe and happy for it's entire lifetime. Please contact me for a puppy application or to answer any questions you might have. I look forward to hearing from you. About Miniature Australians and Mini Americans. 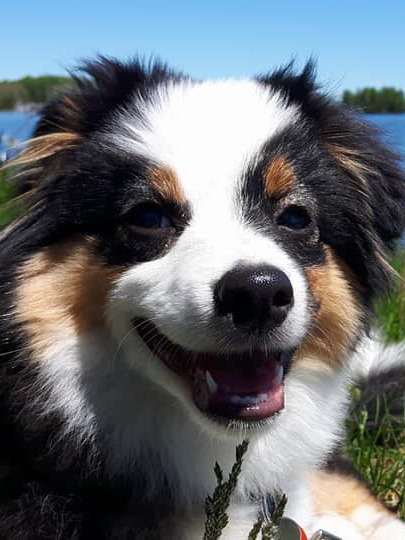 Just like an Australian Shepherd but smaller, Minis are between 14-18" high at the shoulders and weigh 15-35 lbs. They come in a variety of colours including Black Tri, Red Tri, Blue Merle and Red Merle. As a herding dog they are smart, sensitive, loyal companions, requiring both physical and mental stimulation. They have stron guarding instinct and are ofter reserved initially with new people but quickly warm up with your assurance. Outdoors they have lots of energy and make wonderful active parteners. Whether that is walking, hiking, jogging, playing fetch or in a competative sport, such as flyball, disc and agility. Indoors they have a magic "off" switch and become calm, loving house dogs. Warning: they are smart. If you don't train them, they will train you! Once you establish the rules they will do what ever it takes to please you. 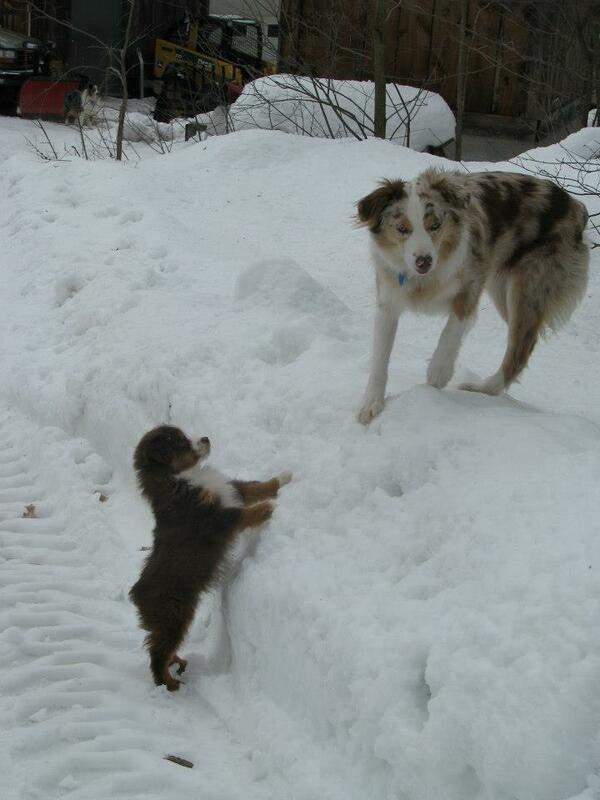 Mini Aussie vs Mini American. In my opinion they are the same dog, registered differently. I have full siblings; one a Mini Aussie and one a Mini America. 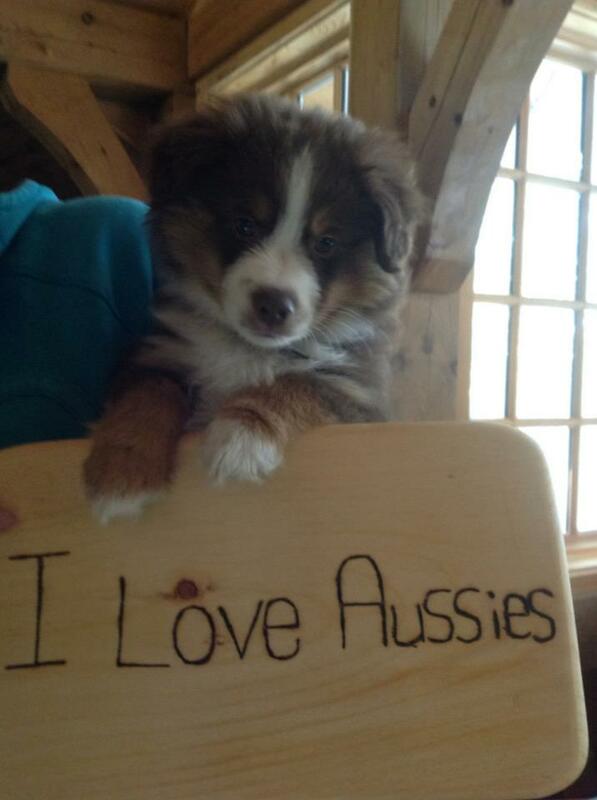 Copyright 2014 Muskoka Mini Aussies. All rights reserved.